Massachusetts gun stores are attempting to redefine their businesses in the weeks since the state’s attorney general effectively ended the sale of all AR-15s and AK-47s in the state. Per the measure, any vendors who continued selling the so-called “copycat” firearms violated the ban and could face fines, prison time and/or lose their Federal Firearms License. Greg Malany, owner of GFA ArmsTec, said the outright ban sent his shop into utter chaos as he had only a few hours to move his remaining inventory. While Tombstone Trading Company moved residual inventory into online sales to out of state residents, Guns-Inc told Guns.com they are concentrating on other firearms moving forward. “We will concentrate on handgun sales more instead of the combined semi-auto rifle and handgun sales,” Kensall Knapik, owner of Guns-Inc said in an email. 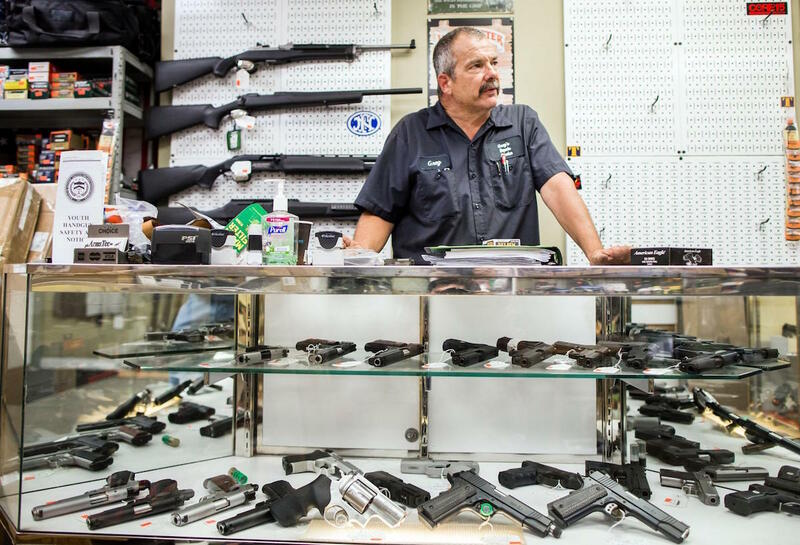 Nick’s Sport Shop owner Mario Torchia said the now restricted firearms encompassed about 10- to 15-percent of his stock. He told local reporters that the measure’s murky language and unclear definitions has his team struggling to define what they can stock. Mass. AG Maura Healey shocked Second Amendment supporters when she issued the directive on July 20. A wave of panicked customers flocked to local gun shops after the announcement in an attempt to get their hands on the soon to be outlawed weapons. According to information from the state’s Firearms Records Bureau over 2,500 rifles were sold the day Healey announced the ban. In comparison, just 132 were sold the day before. Gun rights supporters also turned up in droves to rallies at the state capital. One of the demonstrations, organized by the Gun Owners’ Action League and attended by gun rights supporters including the Massachusetts’ Rifle Association, garnered thousands of protesters. The association, one of the nation’s oldest active gun clubs, has been vocal about its disdain for the ban and the manner in which Healey accomplished it. The group told Guns.com that the lack of clarity and sweeping language creates a dangerous level of uncertainty that should concern all 2A supporters. The organization urged Facebook followers and members to continue to protest Healey’s measure. Gun Owners’ Action League also spoke out against Healey. In a statement published to their website, the group condemned the sudden directive. Article updated August 7, 2016 at 1:11 p.m.